> Amiot Guy et Fils. Products of the domain : Amiot Guy et Fils. 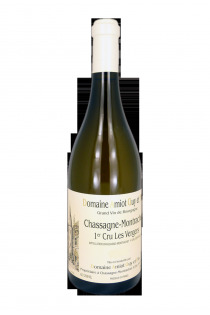 The Domaine Amiot is one of the most famous of the famous appellation Chassagne-Montrachet. This area of ​​enthusiasts is part of the great values ​​of the Côte de Beaune. Thierry and Fabrice Amiot now produce all these appellations, including the very famous Grand Cru Montrachet, the jewel of the estate. The Château Montrachet is located in Chassagne-Montrachet, Puligny-Montrachet, Saint-Aubin and Santenay. Thierry and Fabrice Amiot represent the fourth generation at the head of this domain founded by their great parents Arsène and Flavie from 1920 and strongly developed by their father Guy from 1985. The family tradition is perpetuated respecting the vine and the l Love of work well done. The vines of Chardonnay and Pinot Noir date for most of the years 1920-1930, making it a great specified. The care that is brought to them through the waist up to the harvest makes them very high quality wines. Thanks to a modern winemaking tool and a maturing in oak barrels, Thierry Amiot succeeded in maintaining a perfect regularity of the wines. Complex, end and elegance, these wines are exceptional and pruned for a long guard.